A number of different regenerative techniques, guided tissue regeneration (GTR), bone grafting (BG) and the use of enamel matrix derivative (EMD) have been used to try and regenerate periodontal tissues. The aim of this review was to assess the effectiveness of EMD in the treatment of periodontal pockets of suprabony defects. Searches were conducted in the Cochrane Central Register of Controlled Trials, Medline and Embase databases. 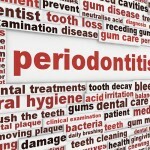 This was supplemented with hand searching of the Journal of Periodontology, the Journal of Periodontal Research and the Journal of Clinical Periodontology. Only randomized clinical trials (RCTs) evaluating a regenerative procedure with EMD on periodontal suprabony defects with at least 6 month follow up and a minimum of 10 patients were included. Study selection and data abstraction was carried out by two reviewers and risk of bias was assessed according to the Cochrane reviewers handbook. The primary outcome measures were tooth survival (TS) and clinical attachment level (CAL) gain. Pocket probing depth (PPD) reduction and recession (REC) increase were secondary outcome measures. Only 3 studies involving 99 patients (358 teeth) were included. -0.5 mm for the REC increase (CI: [-0.8, -0.2], p = 0.003, I2 = 0%). This systematic review and meta-analysis supports the need for definitive multicenter studies to assess the clinical relevance of EMD application in routine flap surgery. As the authors note there are only a few small trials addressing this question and only one of these was considered to be at low risk of bias. We reported on early reviews of EMD use (Dental Elf -10th Nov 2011) including the 2009 Cochrane review by Esposito et al. The Cochrane review was broader than the current review and included 13 RCTs and found similar levels of benefit, but highlighted the high degree of heterogeneity in the studies so recommended interpreting the result with caution. As the benefits are relatively small, some may not consider these gains to be clinically relevant. Graziani F, Gennai S, Cei S, Ducci F, Discepoli N, Carmignani A, Tonetti M. Does enamel matrix derivative application provide additional clinical benefits in residual periodontal pockets associated with suprabony defects? A systematic review and meta-analysis of randomized clinical trials. J Clin Periodontol. 2014 Apr;41(4):377-86. doi: 10.1111/jcpe.12218. Epub 2014 Jan 22. PubMed PMID: 24329867. Esposito M, Grusovin MG, Papanikolaou N, Coulthard P, Worthington HV. Enamel matrix derivative (Emdogain®) for periodontal tissue regeneration in intrabony defects. Cochrane Database of Systematic Reviews 2009, Issue 4. Art. No. : CD003875. DOI: 10.1002/14651858.CD003875.pub3.